The below is a small selection of the spurs that Bombers make. These are the designs that tend to be most popular and so we normally have them in stock but we can order in any of the spurs from the Bombers website. The gentle roller ball is combined with a short curved shank to limit its contact with the horse's side. The spur is given stability by Bombers' trademark polocrosse strap that goes both above and below the foot. 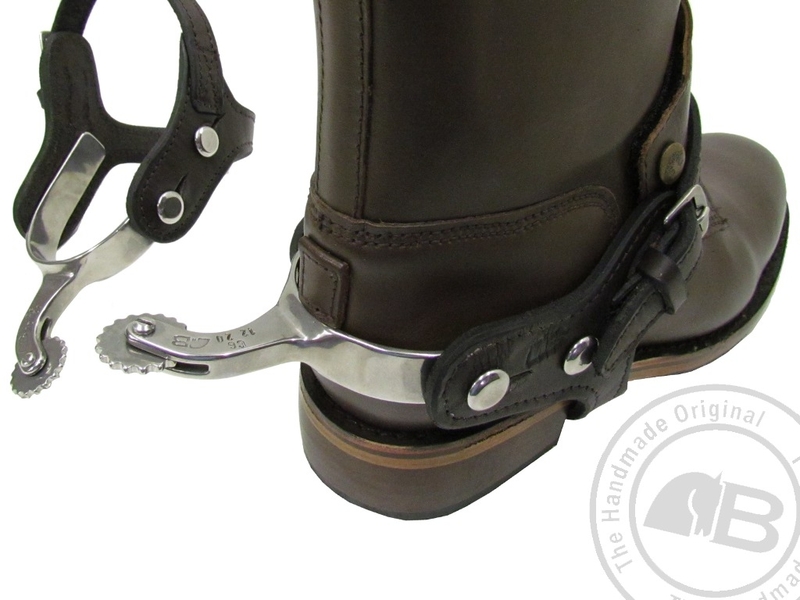 This spur is available in both men's and ladies' foot widths and also with men's and ladies' length straps. The gentle roller ball is set on a curved shank. The Bombers' trademark polocrosse strap goes above and below the foot and gives the spur stability. This spur can be fitted with a wide range of rowels, from a completely smooth rowel to star rowels which will increase or decrease their severity. The rowel is set on a curved shank. The Bombers' trademark polocrosse strap goes above and below the foot to give the spur stability. This spur can be fitted with a wide range of rowels, from a completely smooth rowel to star rowels which will increase or decrease their severity. 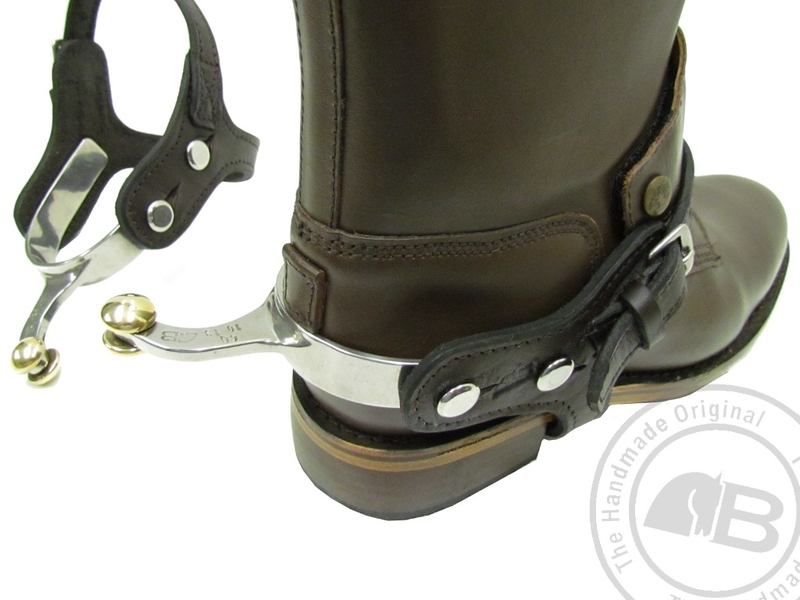 The rowel is set on a short curved shank which limits its contact with the horse's side. The Bombers' trademark polocrosse strap goes above and below the foot to give the spur stability. 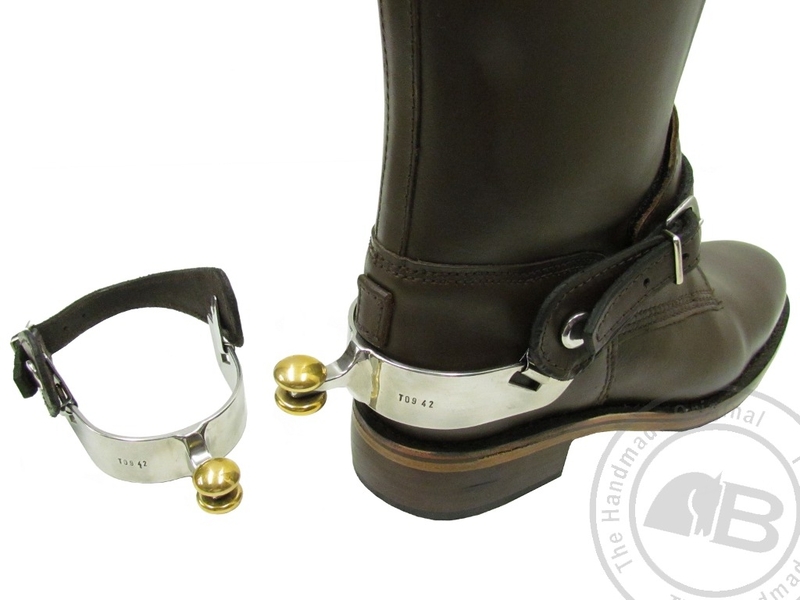 The gentle roller ball is combined with a short straight shank to limit its contact with the horse's side. 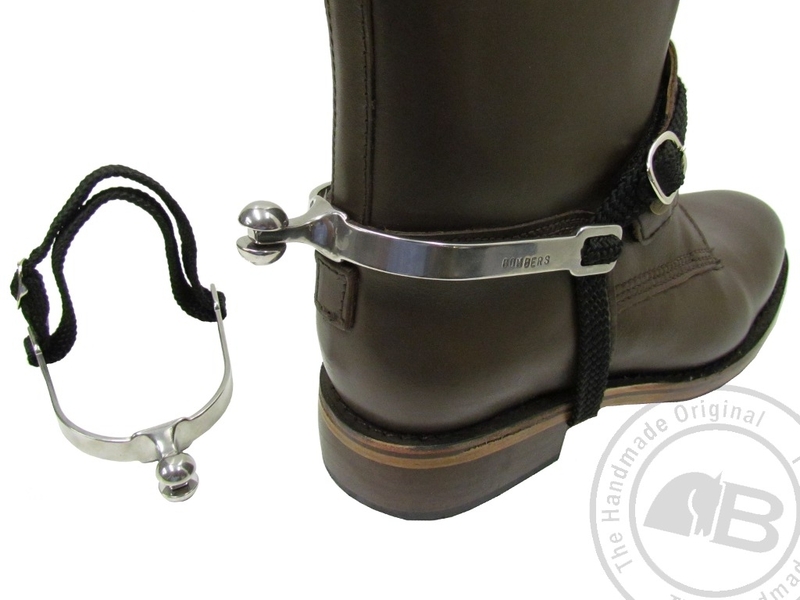 The band on the spur is quite narrow so as to not cause discomfort to the small footed rider. The spur is set on an English fabric strap that goes both above and below the foot. This spur conforms to Pony Club rules as it has a roller ball, not a rowel, and has a straight shank. 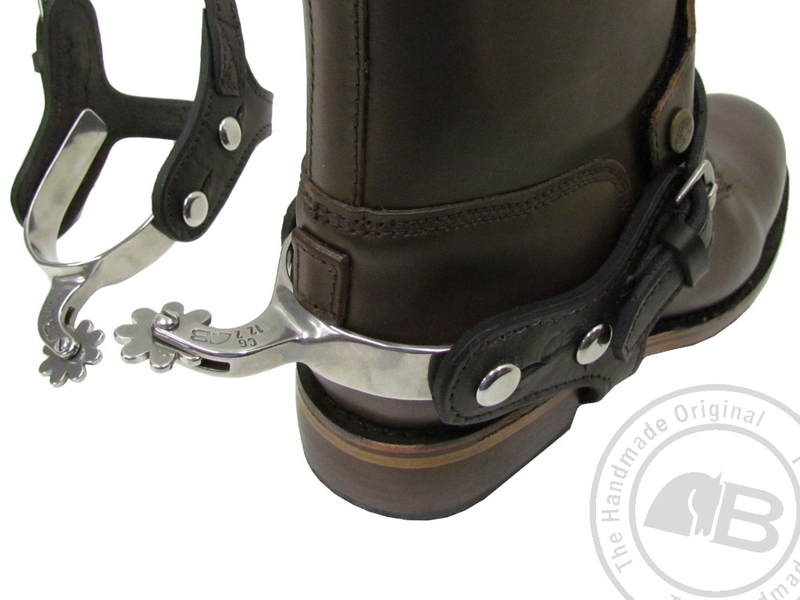 The spur is set on the polo strap that goes both above the foot and the spur rests just above the boot's heel. 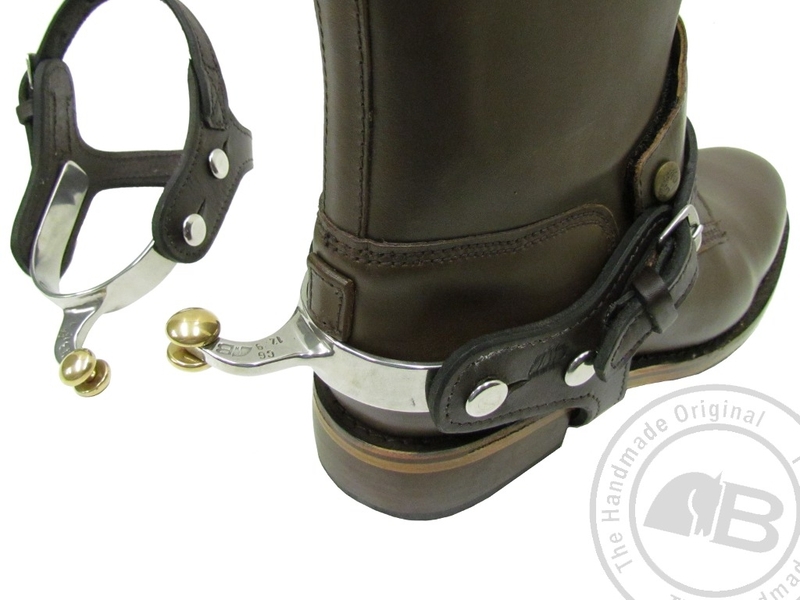 The gentle roller ball is combined with a short straight shank to limit its contact with the horse's side.